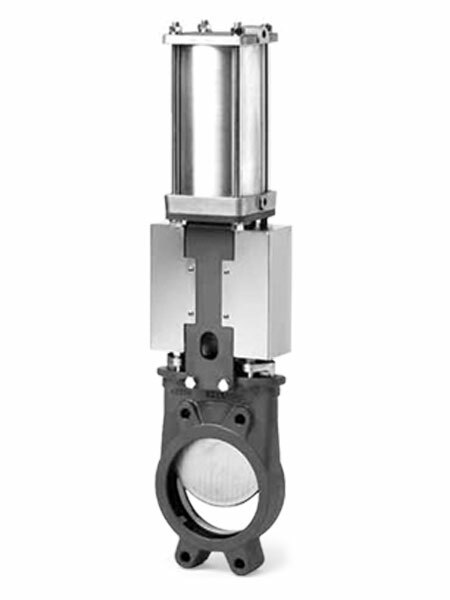 The knife gate valve is designed to control a material flow in pneumatic or gravity flow convey lines. Their robust design was originally designed for slurry system control in the pulp and paper industries. The shearing action of these gates will cut through most solids and columns of material when handling bulk solids, while cleaning the seat as it closes. When 100% open the knife will recess allowing product to flow freely.